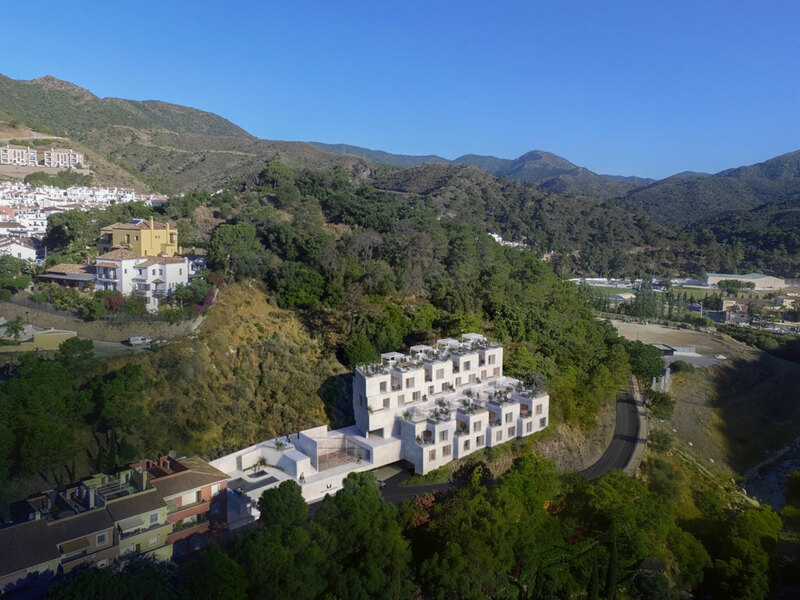 Located 400 meter from the centre of Benahavis, El Mirador de la Moraleda is a new development of 8 luxury townhouses with magnificent views of the protected surrounding hills, superb amenities and a contemporary design. 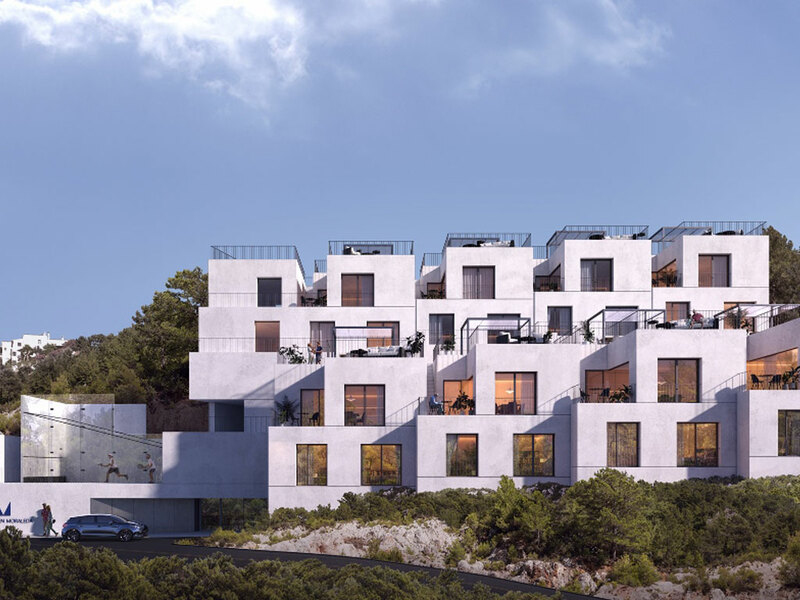 The project is designed to respect and integrate with its natural environment using the topography of the land to dictate the layout of the development and the design of each home. Boasting floor-to-ceiling windows, and compact porcelain floor tiling from leading brands in kitchens and bathrooms the townhouses have 3 bedrooms and 2 bathrooms located on the lower floor, with an open-plan kitchen, dining and living area located on the first floor to benefit from the wonderful natural light. 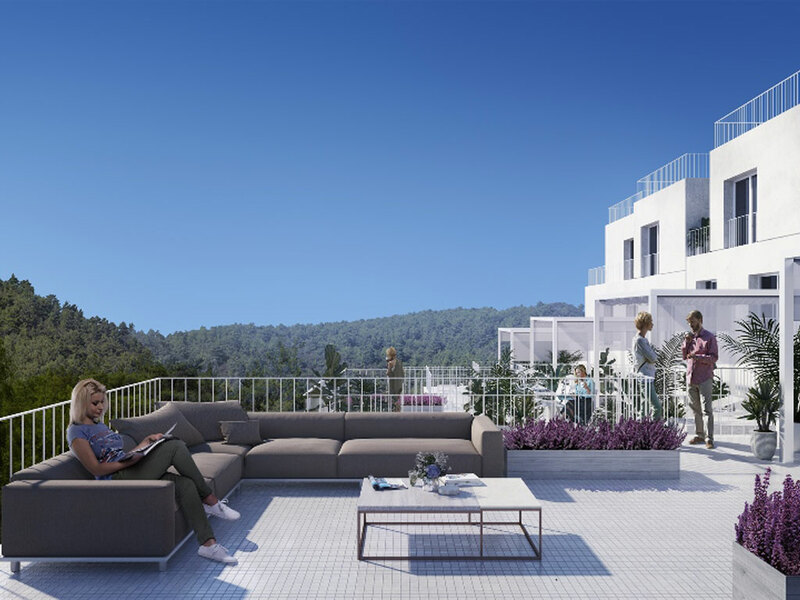 A key feature are the roof-top terraces allowing for outdoor living all year round. Each home has a private parking space and storeroom. 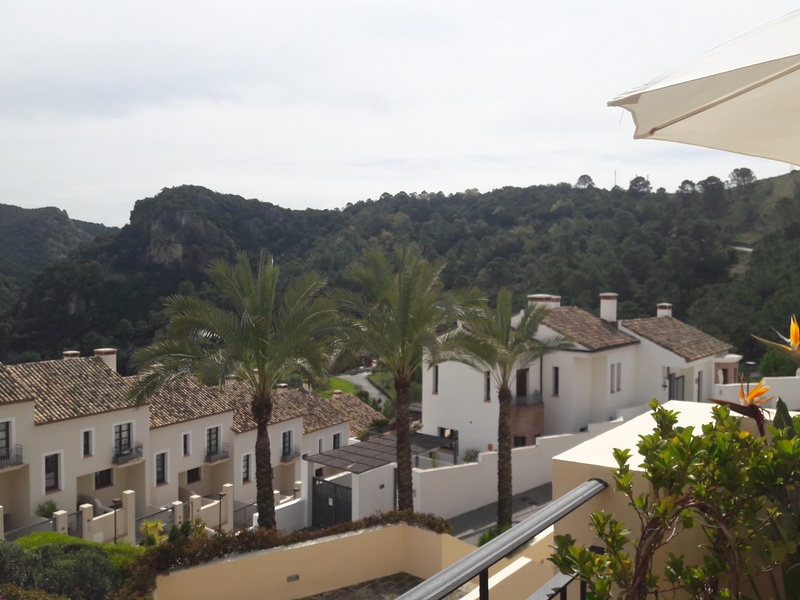 Mirador en Moraleda offers a choice of 8 luxury spacious townhouses each comprising of three bedrooms and two and a half bathrooms. 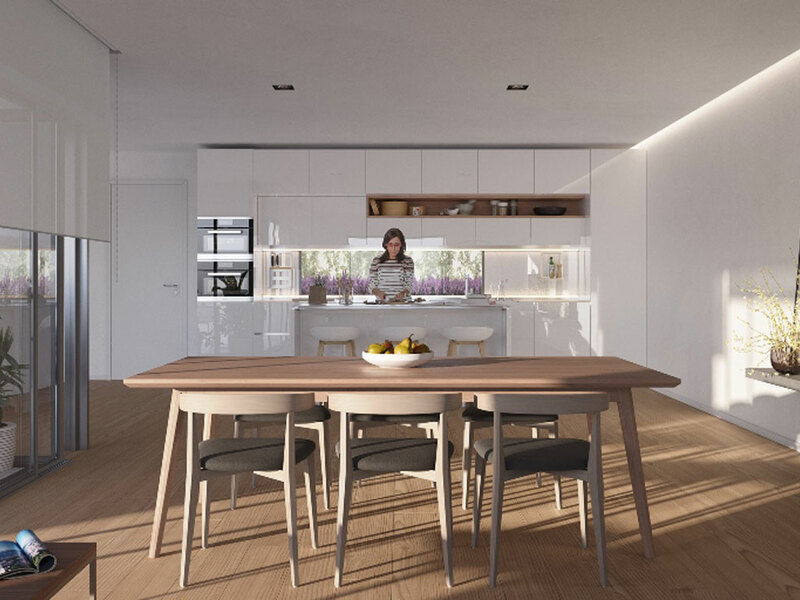 Each property has a large open-plan kitchen-diner fully equipped with Siemens appliances and a living area with a terrace perfect for outdoor dining. 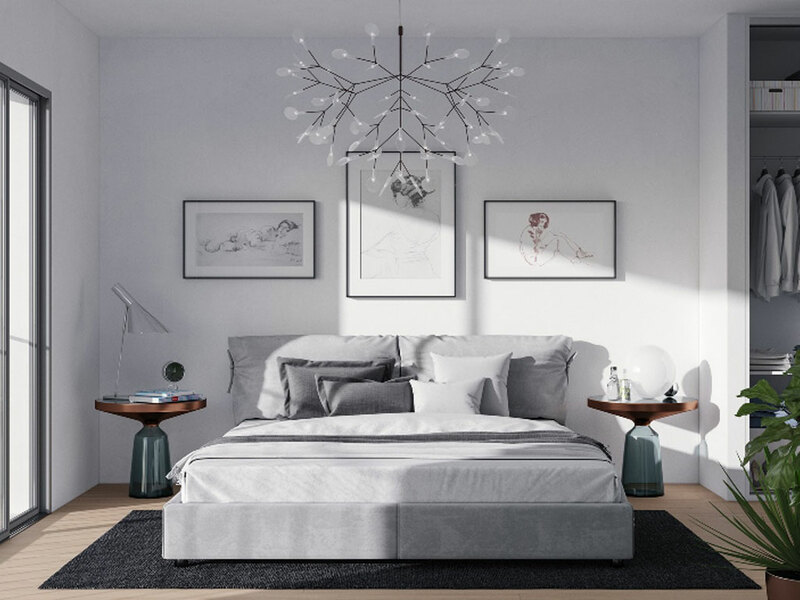 The master bedroom includes ample wardrobes and an ensuite bathroom. Each townhouse also offers two further bedrooms, an additional full bathroom and a convenient laundry room. 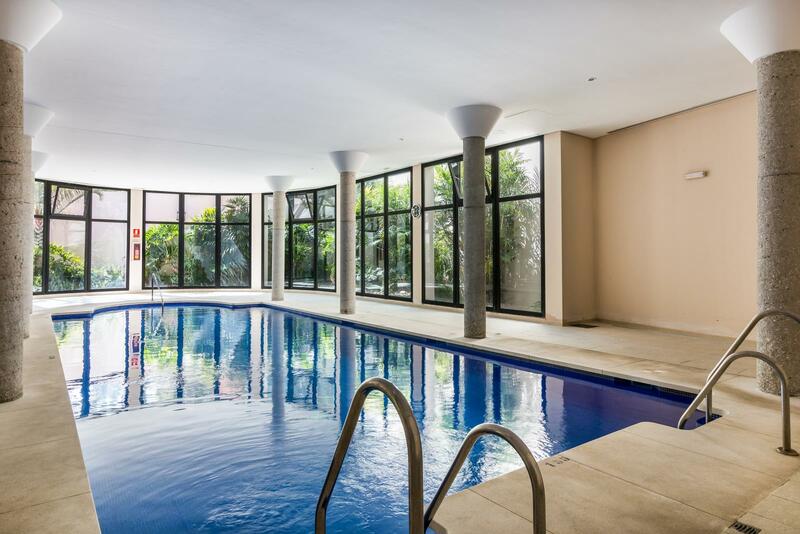 Perfect for cooling off on hot summers days, the urbanization has two swimming pools, one large and another specifically designed for children. 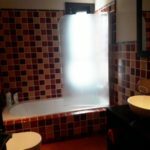 Separate male and female bathrooms are located within the pool area, and an open-air squash court is located next to the pool area for residents’ use. Green areas are dotted throughout the communal areas of the urbanization with plentiful shaded areas and benches for residents to use at their pleasure. 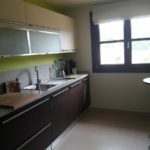 Large 3 bedroom townhouse for sale in Urb. 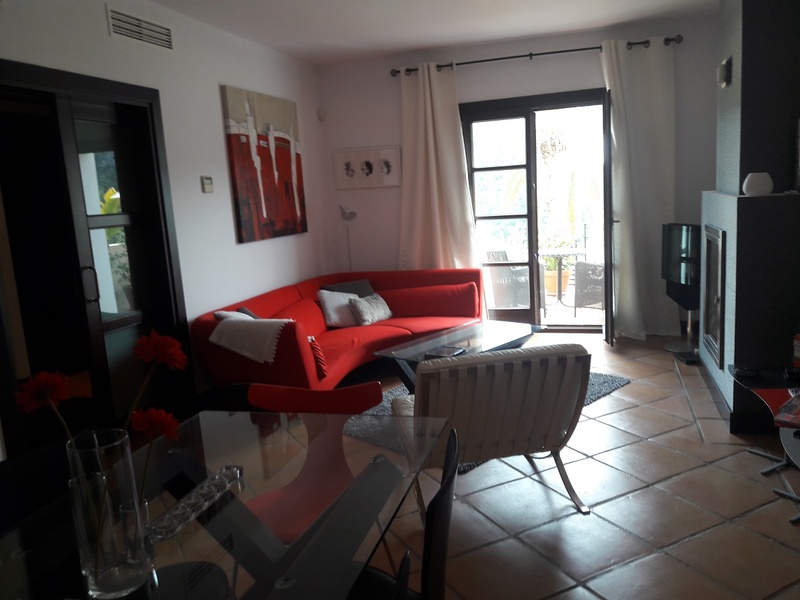 El Casar in Benahavis village, a development with 3 outdoor swimming pools as well as a heated indoor pool, sauna and gym. Entry floor (middle floor : entry hall, living/dining room with access to the terrace, and kitchen. 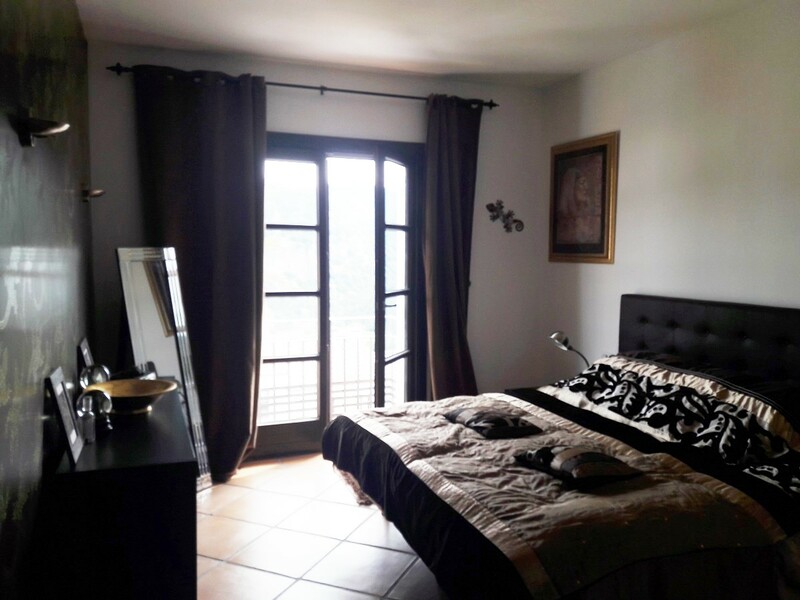 Top floor : two large bedrooms with en-suite bathrooms. Lower floor : large bedroom, full bathroom, laundry room and garage. 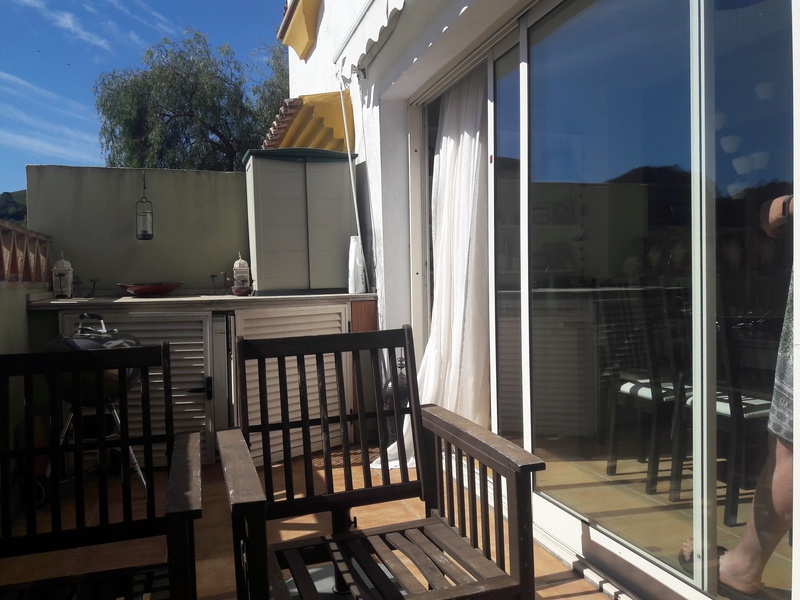 The property is being sold completely furnished and is ideal for families as kids can play in the pool all year, whether inside or out. 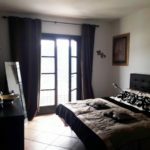 El Casar is situated at the entry of Benahavis village next to the town hall at just 500 meter from the village centre, where you can find all the banks, shops, restaurants and bars. And if you want breakfast or lunch, the bar in the town hall is only 100 meter away. 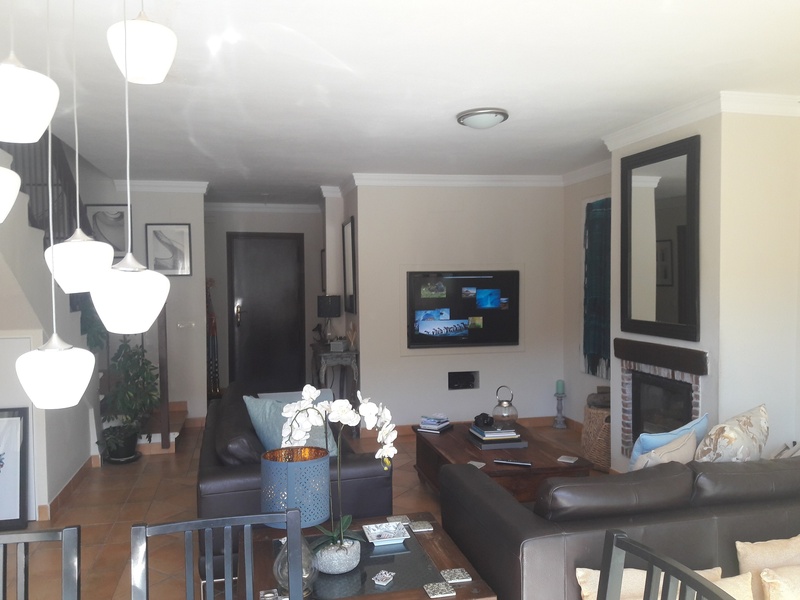 Cozy 3 bedroom townhouse just 300 meter from the centre of Benahavis with all the shops, bars and restaurants. 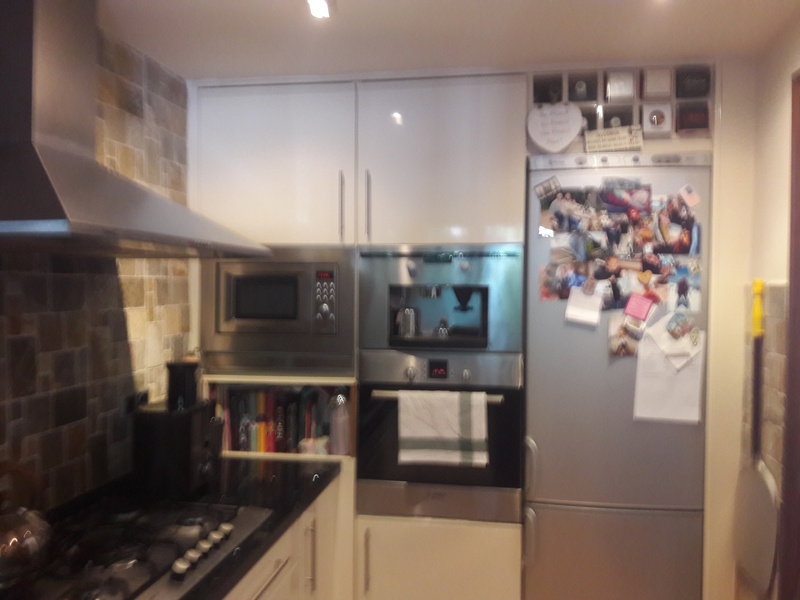 Also close to the schools and sports facilities. The property is built on 2 levels. 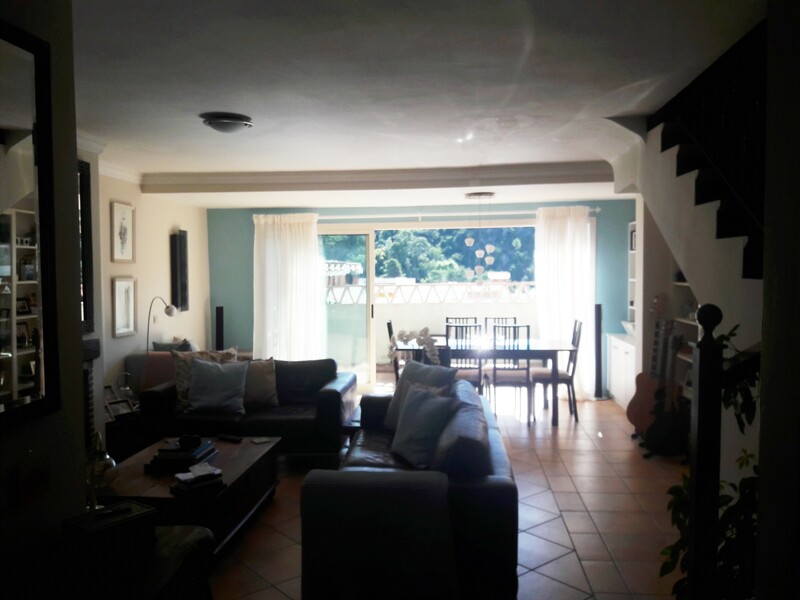 You enter through a large patio in front of the house where you can find the fully fitted kitchen, ample living/dining room with access to an east-facing terrace, and a guest toilet. 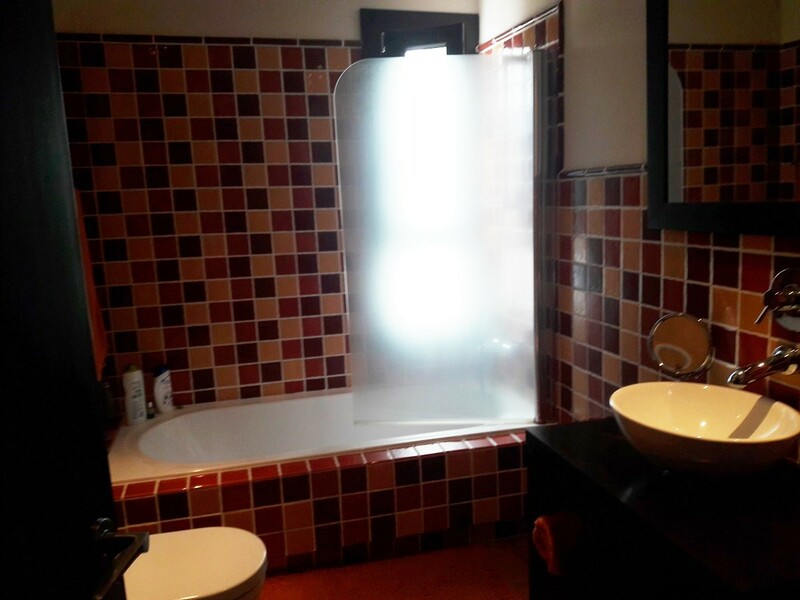 On the top floor there are two bedrooms which share a bathroom and the master bedroom with en-suite. 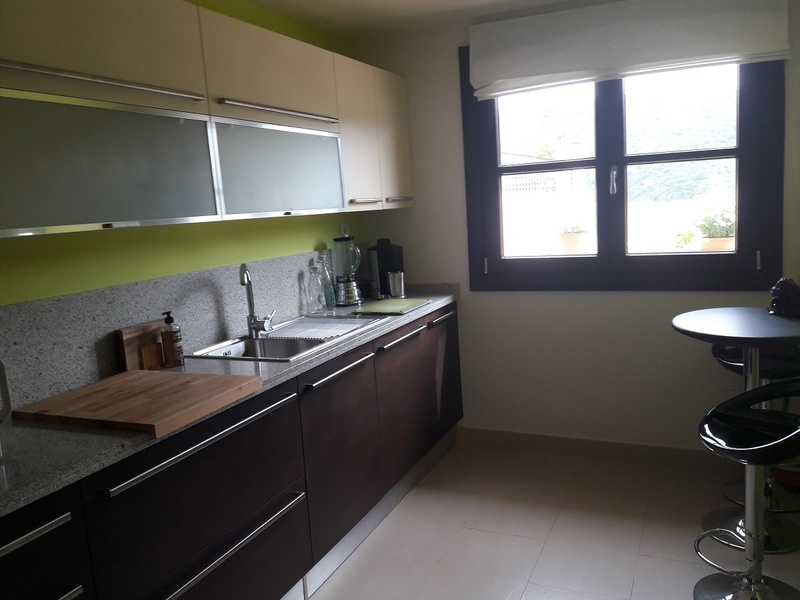 This is a home rather than a house and it is perfectly suited for a family as the service charges are extremely low (10€/month) and it is close to all amenities. Parking is on the street, but there is plenty of space as the street, which is a cul-de-sac, has only 4 houses in it.